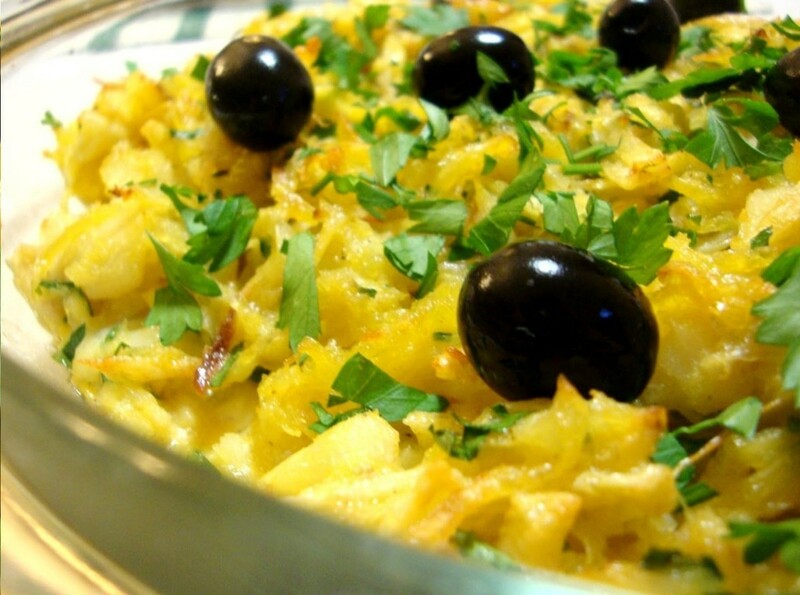 How about discovering some delicious traditional Portuguese dishes now? Portugal is a country extremely rich in terms of flavours and variety of food, so we will help you by giving you some tips about what you should try as soon as you touch Portuguese soil. From desserts to drinks, Portugal can offer you a great variety of flavours. When you are in the Algarve, Portuguese food will be one of the many reasons that will make your stay memorable. 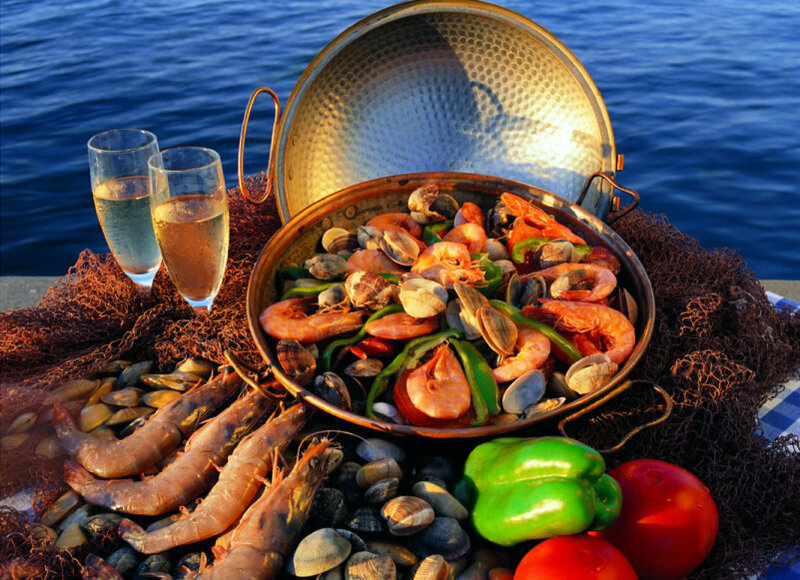 We will cover the different types of food you should give a try in the Algarve. 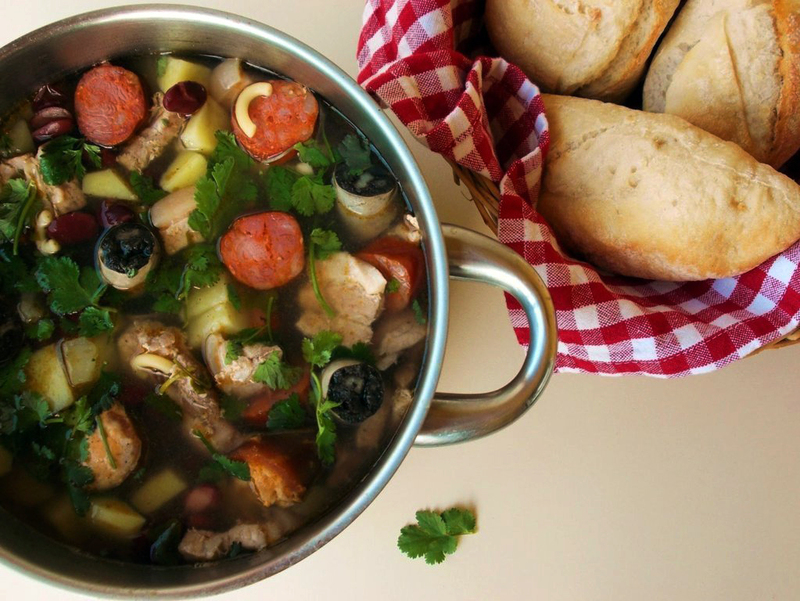 In Portugal, soup is a much appreciated dish, as appetizer or main plate. 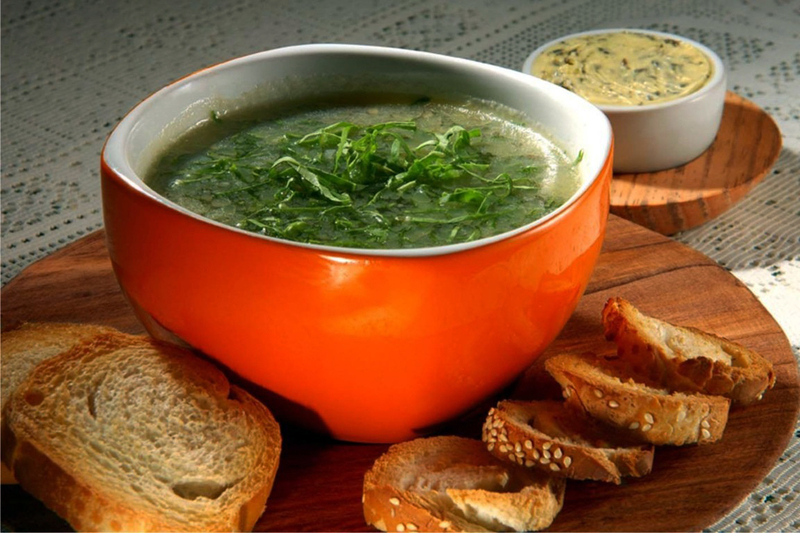 There are several varieties of soup that you can try in the Algarve. Caldo Verde is one of them. It means green soup, and it’s cooked with some local products, olive oil and cabbage. It’s delicious, healthy, and hearty. You can also try Sopa da Pedra, it literally translates as… stone soup. Although this does not sound very tempting, it is actually quite tasty and a substantial meal! The legend says that it was created by a poor monk that arrived at a house and asked the owners for a pan and water to make a soup. He took a smooth stone from his bag and immersed it on the pan. After that, he requested a bit of salt and chouriço (spicy sausage) to give more taste to his soup. Then he wondered if they had something that could thicken the soup, and the hostess, full of curiosity, provided him some beans and potatoes. In the end the monk thanked them for their kindness, cleaned the stone, saved it in his bag and left. And this is the story of the birth of the Sopa da Pedra. The best places to try out these soups are small and familiar restaurants and chop-houses, where the recipes are passed from generation to generation. Since Portugal is a country where fishing and history are deeply intertwined, you can try vast amounts of fish dishes. Some of the most typical fish dishes are made with codfish and sardine. In Portugal, codfish is cooked in every possible and imaginary way. You might want to eat Pastéis de Bacalhau, “codfish pastels”. They are composed of eggs, shredded codfish, onion and parsley. This is all mixed and fried, making small oval pastels. It’s extremely tasty, cold or warm, and can be served as appetizer or main dish! Codfish is also very appreciated when boiled with vegetables and potatoes as side dish. There are many other plates, such as Bacalhau à Brás, that is made with fried potatoes, codfish and parsley mixed together with eggs. 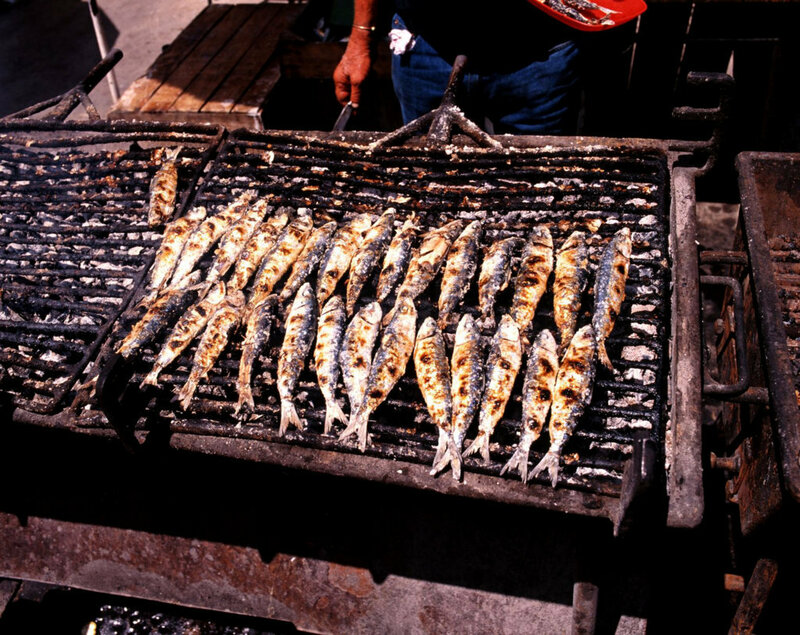 As for the sardines, people eat them in various ways, but the most famous is grilled sardines. It’s the traditional dish from Festa de São João do Porto, a festival celebrated yearly in the Portuguese summer. If you prefer, you can easily cook these dishes at home too. You can try to go on an adventure to visit the local market and buy the fresh ingredients! But if you want a good place to try them out, relax and breathe some of the cultural atmosphere, you might want to head to a small familiar restaurant or chop-house. Portugal is very famous for its meat. Take for example Enchidos, which are a vast group of smoked sausages filled with different ingredients. 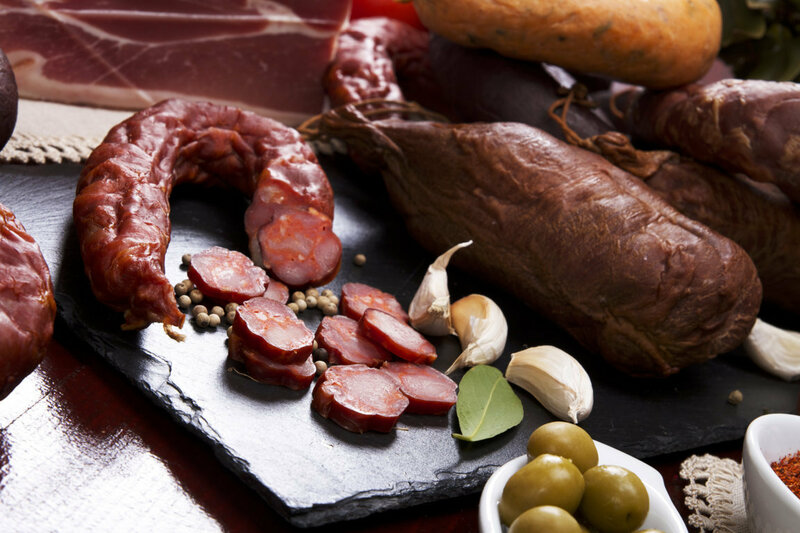 Some of the most famous are barrosã meat, that originated in the north of Portugal and is known for its rich flavour and texture. From the enchidos category, the most renowned of all are the Alheiras de Mirandela. They are made of pork and bird meat, wheat bread, lard and oil. This doesn’t sound tempting but, after you try them, you’ll change your mind in the blink of an eye. And there’s one more thing you should definitely try: Francesinhas! They’re one of the most typical plates and it was created in Porto. 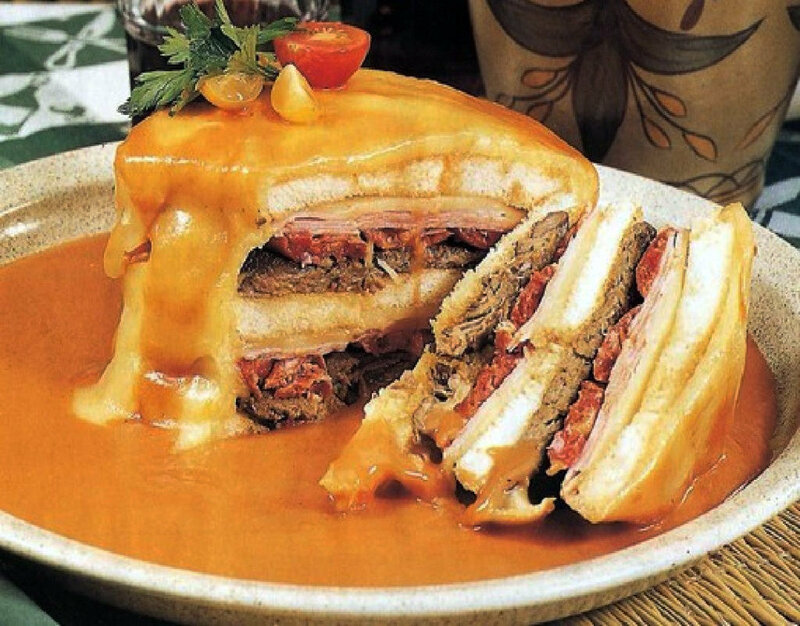 It’s a type of sandwich, with various types of meats and enchidos inside and topped with cheese. This goes in the oven to grill the cheese and warm the meat. Finally it is covered by an orange sauce made of beer, port wine and tomato. They are usually served with fried potatoes. Look for the most traditional-looking restaurant or chop-house and enjoy one of these marvelous dishes! One of the most important of the traditional cuisine in the Algarve is called cataplana. It refers to the name of the cooking pan, which consists of two halves looking like clamshells that are closed when ingredients are cooked in it. This allows the ingredients to preserve their natural juices, aromas and flavours. You can cook various dishes in this pan, whether fish, shellfish or meat. One of the most popular dishes is Ameijoas na Cataplana, meaning ‘clams in the cataplana’. Another variation of this dish is with clams and small pieces of pork. Another delicious type of cataplana may include several sorts of shellfish. If you do not appreciate fish, shellfish or clams, you still can taste cataplana with meat. Whatever type of cataplana you try, you will notice it has a special taste and you will experience a bit of the Algarvian gastronomic culture. The only restriction related to cataplana is that you have for two, as usually no individual portions are served in restaurants. This is a dish to enjoy with someone else. If you are interested in learning more about cataplana and its recipes, the Algarve Tourism Board published a cataplana guide that we advise. However, if you would like to cook this dish at home, you will need to buy a cataplana pan, which you can find in many shops and markets in the region. Portugal has many typical desserts, and the ones born in the Algarve are the bolinhos de amêndoa, folar Algarvio and Dom Rodrigos. Bolinhos de amêndoa are made of almonds and gems and come wrapped in aluminium foil of different colours. If you prefer to try something typically Portuguese, we highly recommend you to try pastéis de nata, ovos moles de Aveiro, arroz doce and queijo da serra. Pastéis de nata are small cakes and very appreciated worldwide. The original pastéis de nata come from Lisbon and are called pastéis de Belém. Pastéis de nata are pastries filled with a sweet orange cream, and are usually served with cinnamon and/or sugar. 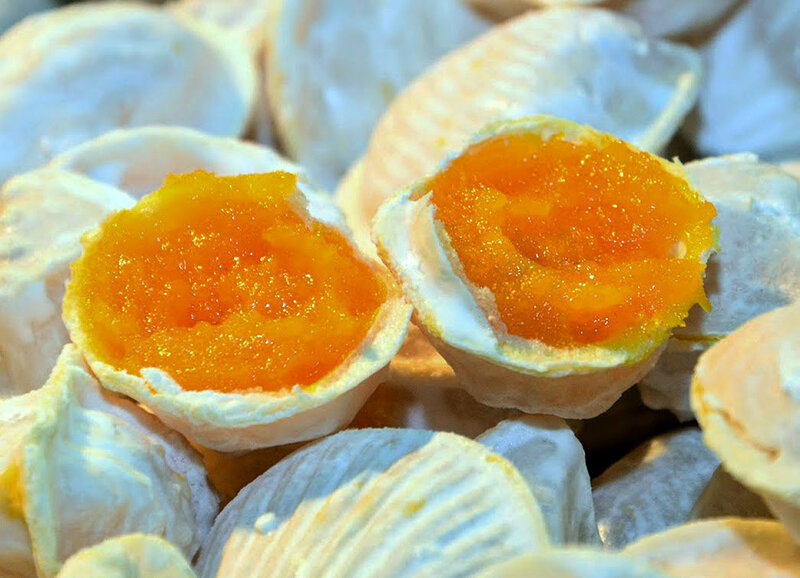 Ovos moles originated in Aveiro, a fisherman’s city, and are made of egg yolks, surrounded by wafer. They have a quirky aspect, because all the pieces are shaped as sea objects, like shells and starfishes. The flavourless wafer combines perfectly with the sweet from the egg’s yolk. Arroz Doce is another traditional dish very appreciated. Many Portuguese people have memories of their grandmothers cooking Arroz Doce with love for them. 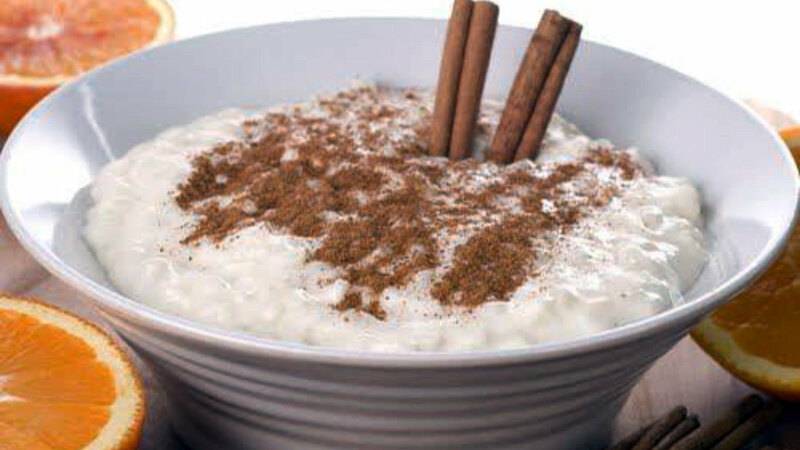 Arroz Doce means ‘sweet rice’ and it is mainly composed of rice, milk and a bit of sugar. After being cooked it has to spend some time in the refrigerator. 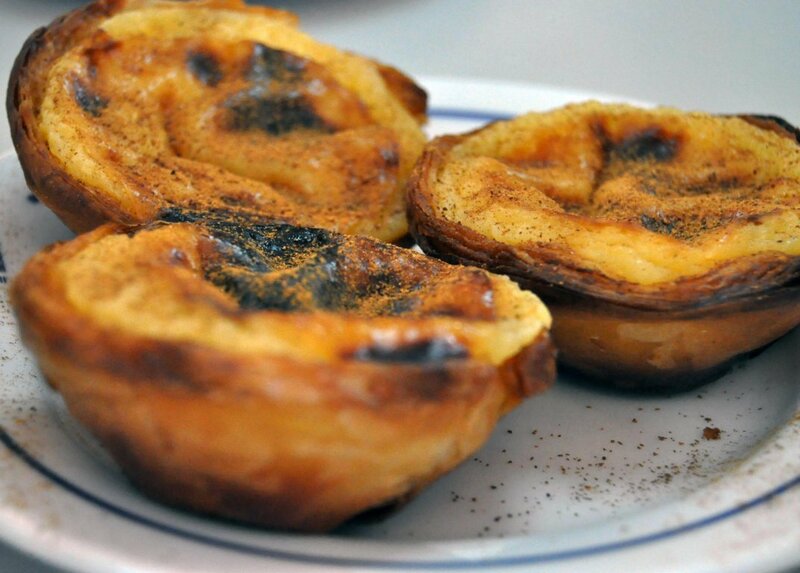 It is served with cinnamon (for those who like it), what makes it one of the favourite desserts among Portuguese people. 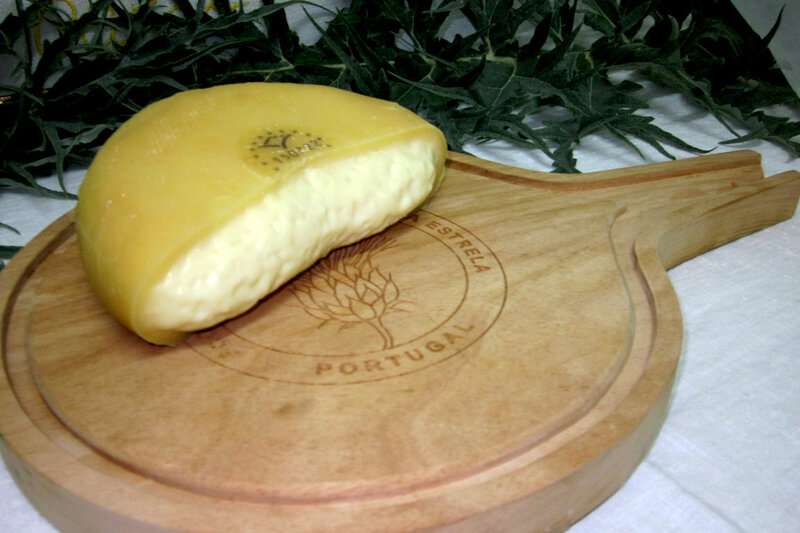 Now, if you also want to try something handmade and traditional, you can try Queijo da Serra. It is a cheese produced with sheep milk in the main mountain complex of Portugal, Serra da Estrela, which lies more in the north of Portugal. It’s a strong flavoured cheese, with a creamy texture, that usually grants him the name amanteigado, which is translated as buttery. It is only produced during the colder months, so if you visit the Algarve, you can always book a ticket to visit Serra da Estrela, taste some cheese and have fun skiing. Normally it is served with bread and handmade marmalade, which makes the sweet and salty flavours blend, transforming this into one of the best gastronomic experiences that you can find in Portugal. The Algarve is home to a great variety of amazing, tasty fruits. 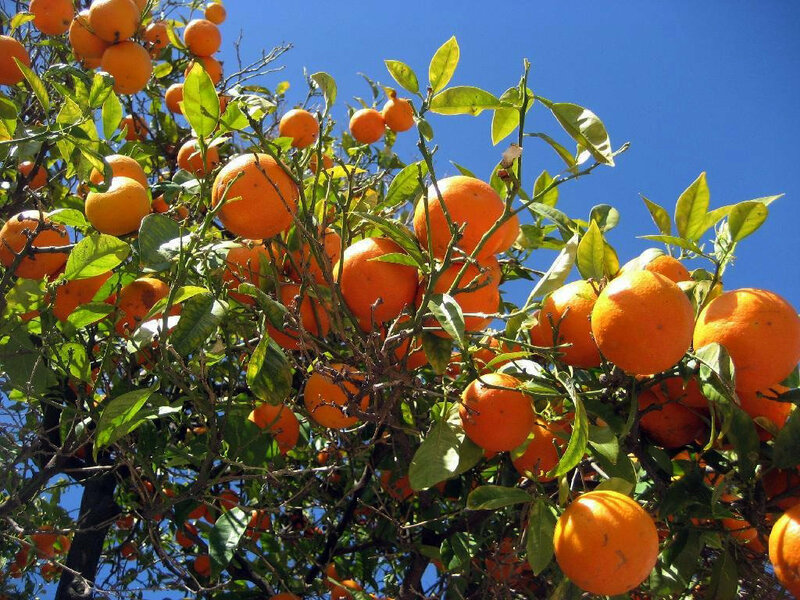 The Algarve is filled with orangeries, almond trees and beehives, so you can always have a delicious and healthy lunch constituted of honey, almonds, oranges and handmade bread. 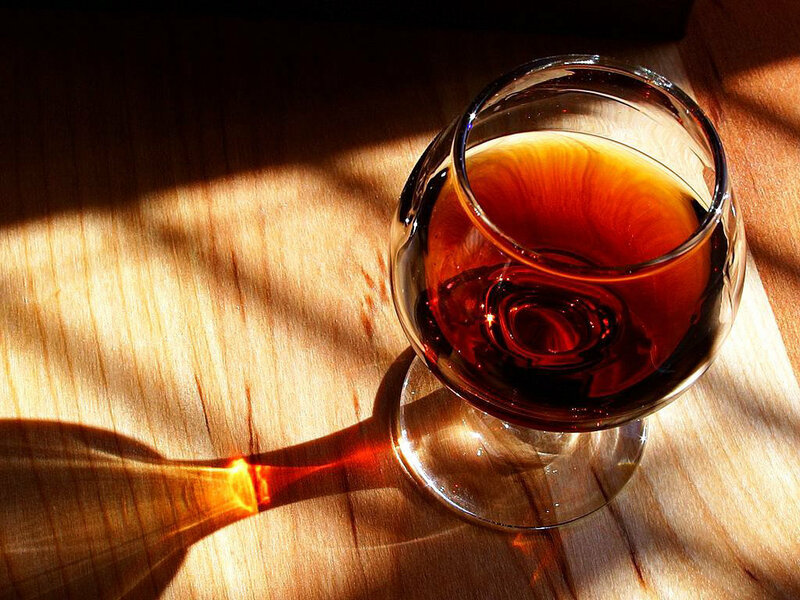 The Algarve also produces a diversity of wines to accompany your meals or just to enjoy during a sunset and finish the day in a glamorous way! You have numerous red wines to drink with your meat dishes and white wines will delight you while eating sardines and shellfish. For those who would like to learn more about wine in the Algarve, the Algarve Tourism Board has published a wine guide which we recommend. If you need something after dinner, you can also have one of the so called ‘digestives’. 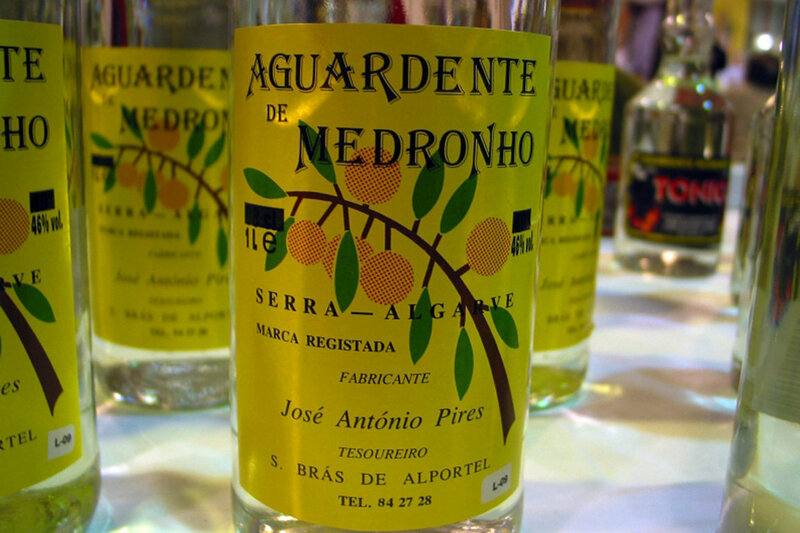 A famous digestive, called Licor de Medronho is produced in Monchique in the Algarve. It is a sugary drink that can warm your body and soul, even on one of those colder nights! If you would like to cook some traditional Portuguese dishes by yourself, or know more about traditional Algarve gastronomy, you can find a regional cooking guide from the Algarve Tourism Board. Are there any cooking classes in the Burgau area? Is there somewhere I can purchase a hiking guide to the trails of Sao Vincente? Also, is there a website that will provide information on concerts and/or cultural events in the area? We are visiting the Algarve area this spring. You can purchase a hiking guide to the trails of São Vincente at Amazon. We wish you a great stay in the Algarve this spring!